What does it mean to do the work of human rights? This summer eight Ohio State University students got the amazing chance to see first hand where human rights work is happening in New York City and beyond. The group of stellar students, including Caeli Barnes, Kate Clark, Sabrina Jamal-Eddine, Farida Moalim, Lauren Roush, Nneke Slade, Rachel Tomasello, and Kyle Williams, have diverse academic backgrounds but came together with a common interest in human rights. Facilitated by Professors Wendy Hesford (English), Amy Shuman (English), and Jennifer Suchland (Slavic/WGSS), the five day trip centered around the Human Rights Watch film festival, entitled this year “Change Starts Here.” Each evening we embarked on the Walter Reade Theatre at the Lincoln Center, while during our days we explored many sites and venues relevant to human rights, including visiting Witness (a non-profit dedicated to documentary human rights practices), the African Burial Ground National Monument, Stonewall National Monument, Columbia University’s Human Rights Archive, a tour of key sites in Harlem as well as visiting Ground Zero. Here are a few examples and comments from students to give a richer sense of the experience. 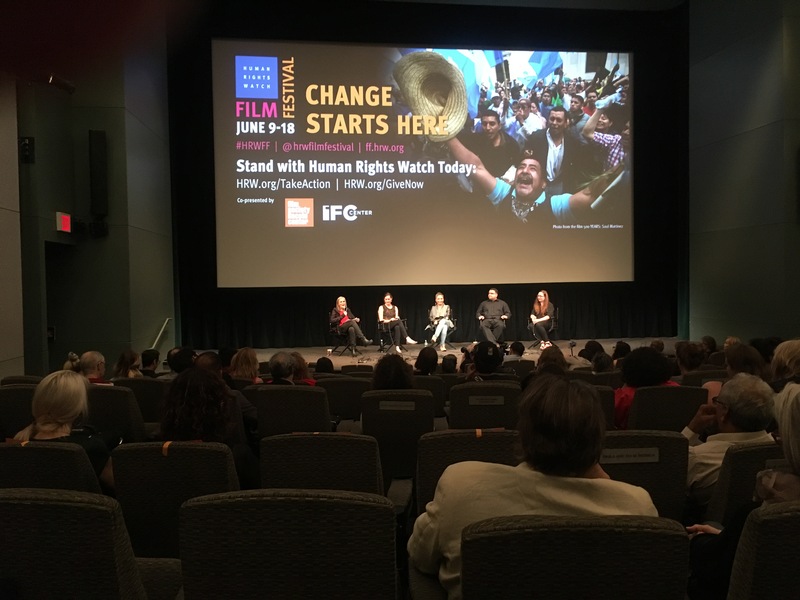 All of the students were highly engaged and moved by the Human Rights Watch film festival. The talk-backs after the films with the directors and people involved with the film was a huge bonus of watching the films at the festival. 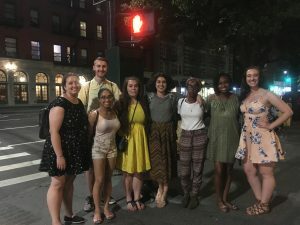 With that unique experience, we gained greater appreciation and knowledge of the work of making documentary films and their impact. In addition, one evening we had the privilege to listen to a panel discussion on “From Audience to Activist” featuring Amy Goodman, host and executive producer of Democracy Now!, Denis Flores (artist, activist, and educator), Jennifer MacArthur (director of several films including the recent documentary Whose Streets? 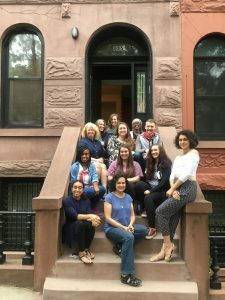 ), Courtney Radsch (Advocacy Director at the Committee to Protect Journalists), and Jackie Zammuto (Program Manager at Witness). Across our experiences, many questions emerged about why some incidents of violence are focused on over others, who gets to speak about human rights, and who listens. The vital issue of exposing hidden violations is one dimension of this, but there is also the question of how society relates to other people’s suffering. 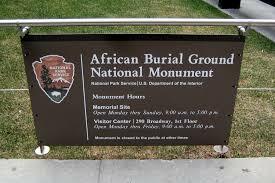 These complicated issues were raised in several films as well as in our visits to the African Burial Ground National Monument, Witness, and the Columbia University archive. 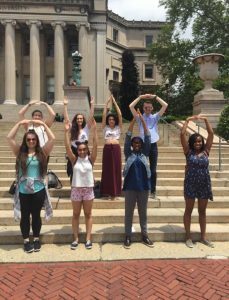 Inspired by our time in New York City, students are gearing up to infuse Ohio State with critical conversations about human rights. Some students have taken on independent or group projects for the coming year. Moved by the power of documentary film and citizen resistance to power, several of the students hope to bring the film City of Ghosts (2017), dir., Matthew Heinman, to campus. 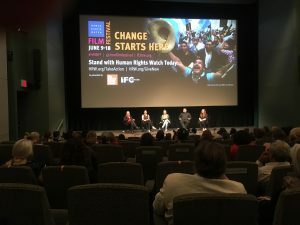 The film follows the brave efforts of anonymous activists in Syria who banded together to form a group called “Raqqa is Being Slaughtered Silently” after their city was taken over by the Islamic State (ISIS) in 2014. Chronicling their struggles to expose the truth of terror in their city, the film reveals the power of citizen resistance and our desperate need to find collectivity against ISIS and anti-refugee sentiment. 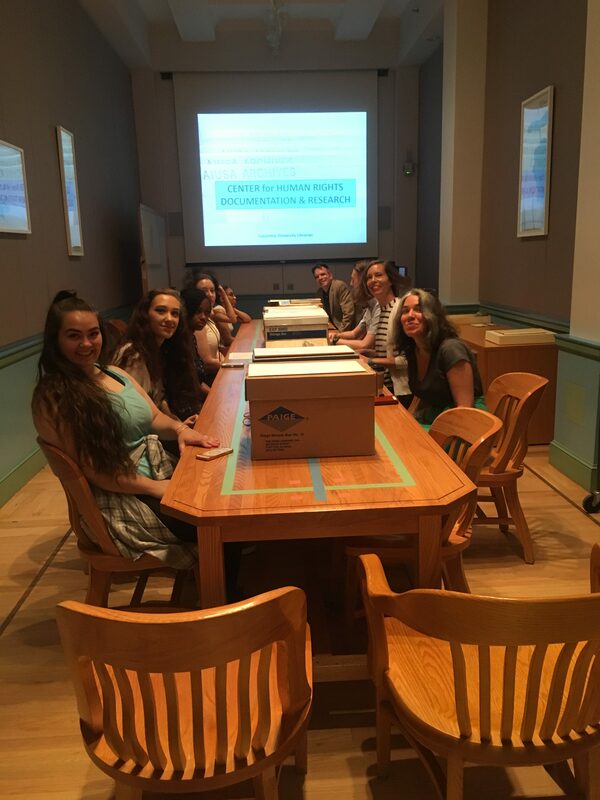 Inspired by the Columbia University human rights collections, and the special exhibit on gay and lesbian student activism at the university, Kyle Williams will research the history of student activism at Ohio State University. Working with Professor Wendy Hesford, he will look into OSU’s historical role in social justice movements from the Women’s Suffrage movement to the Black Lives Matter movement. 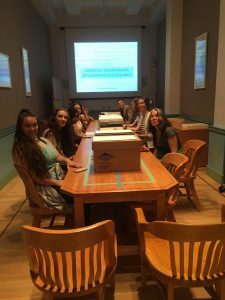 Through his archival work , he intends to gather materials for a display case on campus. In addition, Kate Clark intends to research news and social media representations of populations affected by the global refugee crisis, specifically the Syrian refugee crisis. She is particularly interested in understanding U.S. resistance to opening its borders to Syrian refugees and how the current political climate and U.S. policies reinforce images of refugees as national threats and potential terrorists and in doing so not only deny Syrian refugees security from war but minimize the profound losses to the Syrian community. 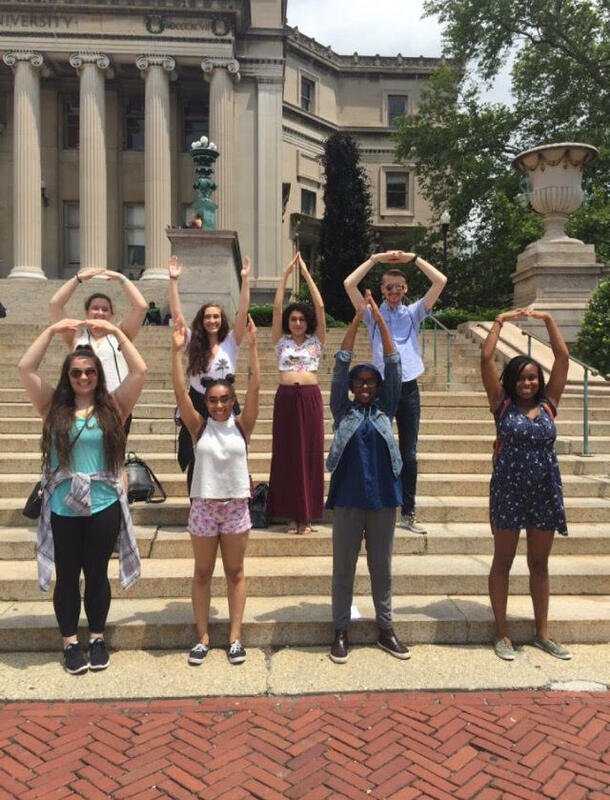 I am excited to see what these motivated students do in the coming year to spur dialogue and greater consciousness about human rights at Ohio State. Later in August, we will meet-up at the Wexner to watch the film Whose Streets? (2017), a documentary we learned about at the film festival that chronicles the uprisings in Ferguson and St. Louis, MO after the shooting death of Michael Brown. See you there? Posted by Jennifer Suchland at 7:19pm August 11, 2017 Bookmark the permalink.